I’ve written poetry, stories, and articles for some of the world’s best children’s magazines. For a short period of time, I was even an editor! 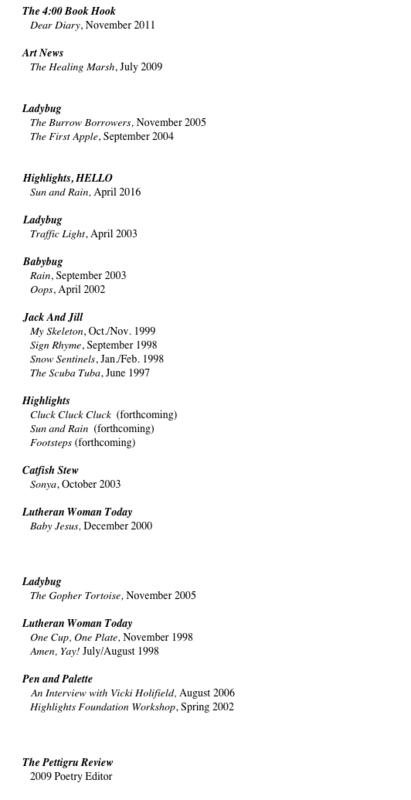 (I was poetry editor for a literary journal called The Pettigrew Review in 2009). To me, the biggest thrill of selling to magazines is seeing how illustrators depict my words! I stopped submitting to magazine a few years ago in order to focus on finishing longer projects. Nasty Bugs, a collection of poems about insects and arachnids that is sure to make your skin crawl. My poem is titled Tick-tock Tick.